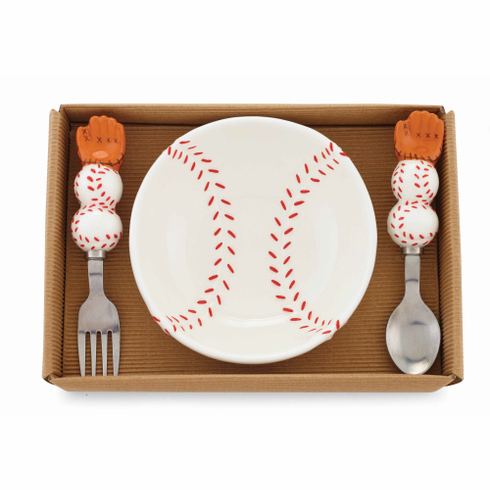 Baseball 3-piece feeding set includes ceramic baseball bowl, fork, and spoon. Bowl measures appx. 5.25" in diameter x 2" tall. Spoon and fork both measure appx. 5" long. Packaged in rolled corrugated cardboard gift box.